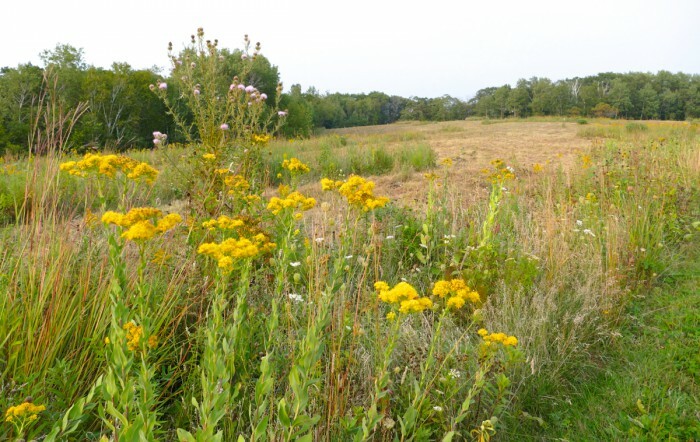 The Narrows Prairie is a 14 acre field at the northernmost edge of our land. 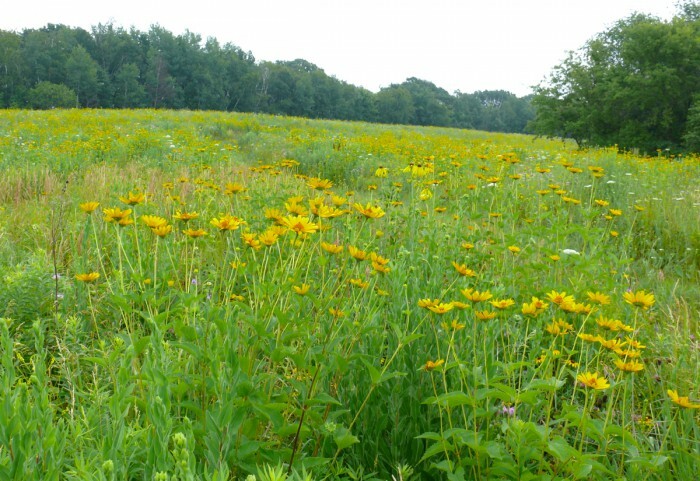 We planted it with prairie seeds in the winter of 2003/2004, broadcasting the seed by hand. 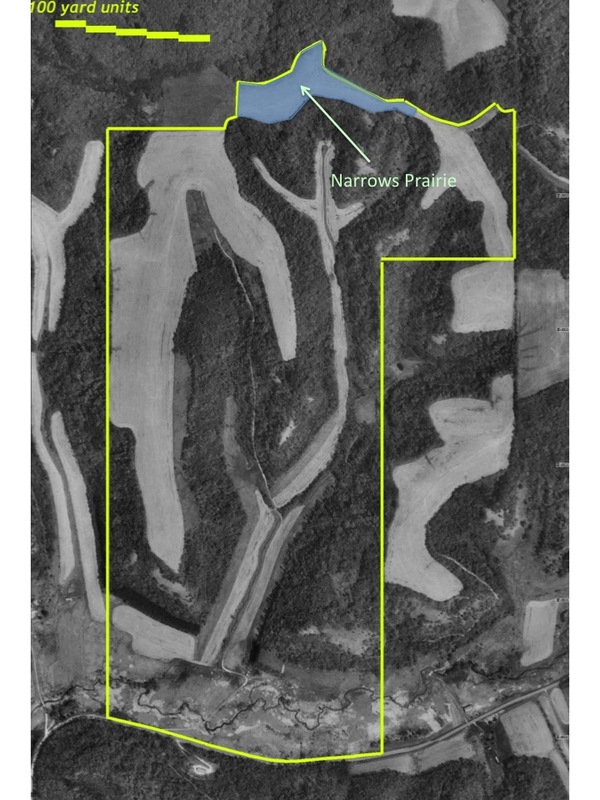 This is an aerial photo showing its location. The center of this prairie has always had problems with aspen sprouts. These are fewer, and smaller every year, but we still need to mow them in mid-summer. As the number of sprouts declines, we mow a smaller area, and leave more of the prairie flowers. This photo of the mowed and unmowed areas is from 2015. Here’s the list of seeds I planted, and plants I’ve found growing in the prairie in subsequent years.